Zucchini is one of those summertime vegetables that never seems to run out of steam. I really have to wait until the weather starts to change before the friends who have been handing me piles of the stuff all summer long finally begin to slow down. I’m not complaining, mind you (although I have stopped planting the stuff in my own garden), because I am a big fan of zucchini in both savory dishes and in baked goods. 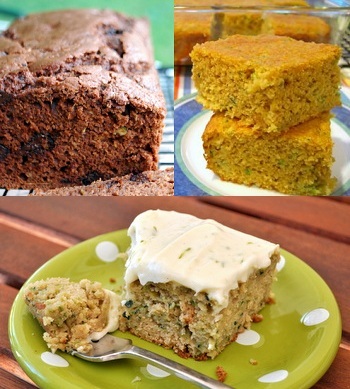 Like carrots, zucchini is a great addition to baked goods and whipping up a batch of zucchini bread is a very good way to use up a lot of it at once and sneak some veggies into dessert. 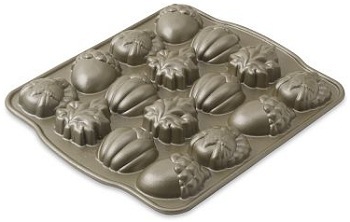 Unlike carrots, however, zucchini has a more significant impact on the cake or bread that it is baked into. Zucchini is more moist than carrots are, and bakes up to be more tender, so the texture of the vegetable is slightly more subtle in the finished product. Zucchini should be washed and shredded fairly fine if you intend to bake with it. Coarser shreds will have a slightly more noticeable flavor and texture in a finished cake or bread recipe. The shredded zucchini should be pressed well with paper towels to soak up excess moisture to prevent whatever your baking from getting too soggy. I love zucchini in baked goods because it feels KIND OF healthy, but also so rich and indulgent. 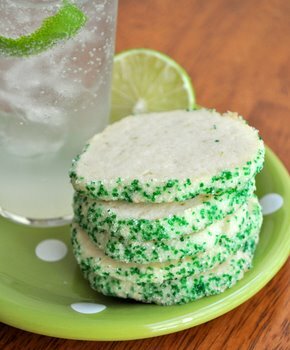 I really want to make that zucchini cake with lime cream cheese frosting! I love using zucchini in almost anything. I agree that the cake with the lime cream cheese icing caught my eye too! I adore baking with zucchini; it adds such lovely moisture. Never thought to try using the vegetable in cookies, thoughâ€¦ Definitely sounds interesting, I’ll have to try it! I tried the Zucchini Corn Bread last night for dinner. My family loves it. They’ve requested that I only make this recipe for cornbread from now on. Thank you for helping me add a little more vegetable to our diet and for the scrumptious recipe!